Despite a slow start to the season, Novak Djokovic walked away the biggest winner at the Grand Slams in 2018, claiming his second major title of the season at the US Open last week. The major season is over once again and the dominance of the Big Three is still intact. The season’s final Grand Slam event was wrapped up last week with a familiar champion vaulting himself back into contention for the dominance over the ATP World Tour. Here is your ATP Weekly Update for week 36 of the 2018 season. If there was any doubt after Wimbledon or Cincinnati, questions about Novak Djokovic’s comeback must be gone now. The former world number one claimed a second major title in a row in 2018 by claiming his third US Open crown on Sunday, his 14th major overall, by defeating Juan Martin del Potro in straight sets in the final. The Serbian did not drop a set in the second week in New York, taking down Joao Sousa, John Millman, Kei Nishikori, and del Potro all in a row in straight sets. 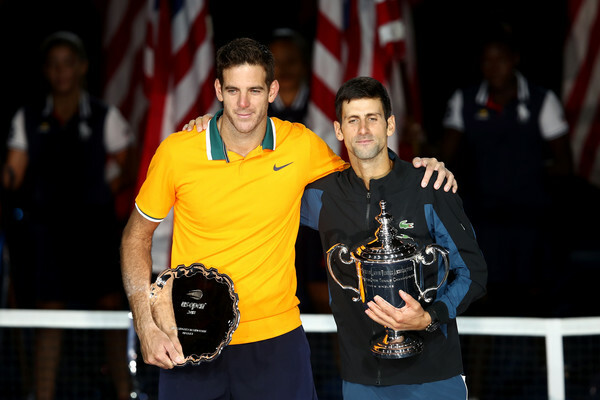 Del Potro advanced to his first major final in nine years, the only previous one being his win at the 2009 US Open, by taking out John Isner and world number one Rafael Nadal, but he could not win the big points in the final against Djokovic. In a rematch of the French Open final, Rafael Nadal and Dominic Thiem battled through the match of the tournament in the quarters. It was the pair’s first meeting on hard court and there was no dip on quality. Thiem came out swinging, handing the top seed a bagel in the opening set. But Nadal is ranked number one for a reason. The defending champion would battle back, winning the nearly five-hour clash 7-5 in a fifth-set tiebreak. 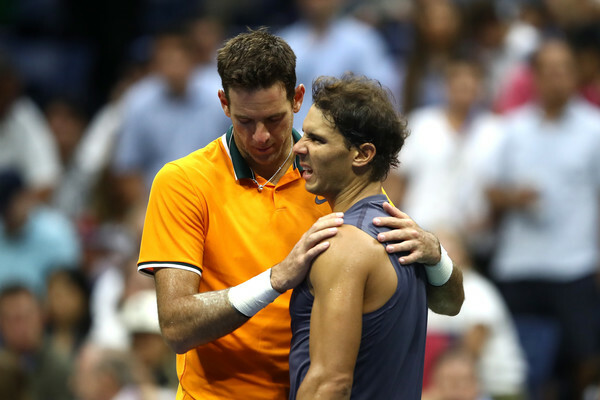 The match may have cost Nadal dearly, as he only really put up a fight in the opening set of his semifinal meeting with del Potro before a knee-injury began to slow him in the second set. Nadal had had the knee taped in earlier rounds and again in the first set. But he was barely moving in the second set and retired after dropping it 6-2. Nadal has only lost two matches on hard court this year, both at majors, both via retirement. 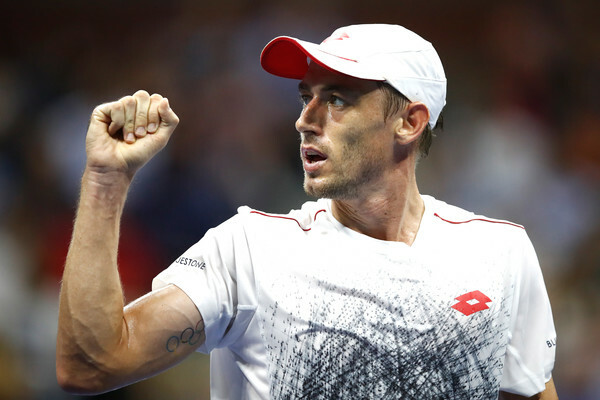 The upset of the tournament came right at the beginning of the week, as world number 55 John Millman handed Roger Federer his first loss to a player outside the top 50 at the US Open in the fourth round. The Swiss led by a set and a break but faded in the high humidity to fall in four sets in an uncharacteristically sloppy performance. The Aussie advanced past the third round at a major for the first time in his career, advancing all the way to the quarterfinals after his upset of Roger Federer. The career-best performance allowed him to jump 18 spots, shattering his previous career-high of number 50 into the top 40 for the first time at number 37. By winning the title, Djokovic returned to a spot he is all too familiar with, number three in the world behind Nadal and Federer. Despite reaching his first major final in nearly a decade, del Potro fell one spot to number four thanks to his finals loss to Djokovic. Two former US Open finalists saw significant jumps in opposite directions as 2017 runner-up Kevin Anderson fell four spots to number nine after losing in the fourth round, while 2014 runner-up Kei Nishikori climbed seven spots to number 12 after reaching the semifinals. Former Wimbledon runner-up Milos Raonic also returned to the top twenty courtesy of his fourth-round run. Several young guns reached new career-highs, including Borna Coric (18), Karen Khachanov (25), Daniil Medvedev (35), and Alex de Minaur (38). Nikoloz Basilashvili also reached a career-high ranking of number 31, while Fabio Fognini, despite a second-round, managed to match his previous career-high of number 13. Novak Djokovic and Roger Federer became the second and third people to clinch a spot at the ATP Finals. Djokovic did so just by reaching the final. By winning the title, he created a battle for the year-end number one with Nadal, trailing the injured tour leader by just over 1000 points. Federer clinched because Djokovic, the Wimbledon champion, had clinched and a title for del Potro would clinch for him, making Federer, already guaranteed to finish in the top 20, the only Grand Slam champion to have not clinched. A rule exists saving a spot at the ATP Finals for a major champion ranked outside the top seven, which a Djokovic-del Potro US Open final assured that Federer would be the only person eligible. Both US Open finalists moved up in the race at Federer’s expense, with Djokovic moving up to number two with del Potro coming up behind him at number three. 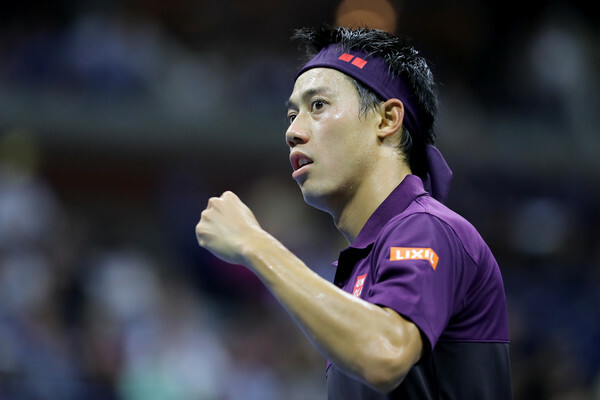 The chase pack tightened slightly, with Kei Nishikori jumping into contention at number ten. John Isner and Nishikori now trail Dominic Thiem by less than 1000 points for the eighth and final spot. However, the Austrian’s quarterfinal performance allowed him to keep a 435 points buffer between himself and Isner, the first man on the outside. There are no ATP Tour events on the schedule this week. Instead, players will be suiting up in their national colours. Two important components of the 2018 Davis Cup, the final year of the competition under the current format, will take place this week: the semifinals and the playoffs. In the semifinals, four of tennis’ top nations will do battle to reach the final in November. The highlight is a battle of Western-European powers between defending champions France and 5-time 21st century champions Spain. France will be playing host to a Nadal-less Spanish team on indoor hardcourt. The clash should still be of high quality, with the two teams boasting nearly identical lineups rankings wise. On the other side of the draw, the United States will look to reach their first Davis Cup final in over a decade. 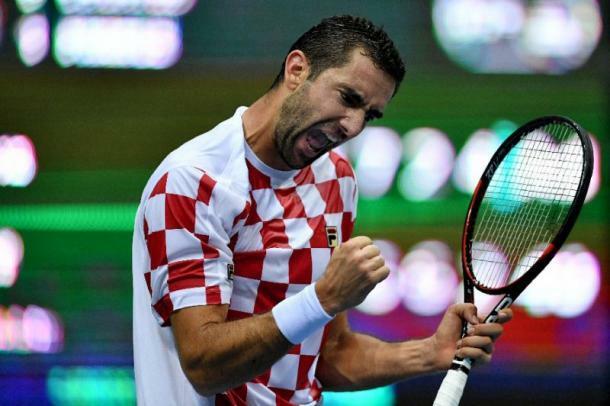 The Americans will be in deep as they will head to Croatia without their number one, John Isner, and will be forced to play on clay, which has worked well for the Croatians so far at this year’s event. Elsewhere around the globe, 16 teams, including the eight first-round losers from this year will be in action in the playoffs. The eight ties include Argentina vs Columbia, Great Britain vs Uzbekistan, Austria vs Australia, Switzerland vs Sweden, Serbia vs India, Canada vs the Netherlands, Hungary vs the Czech Republic and Japan vs Bosnia/Herzegovina.